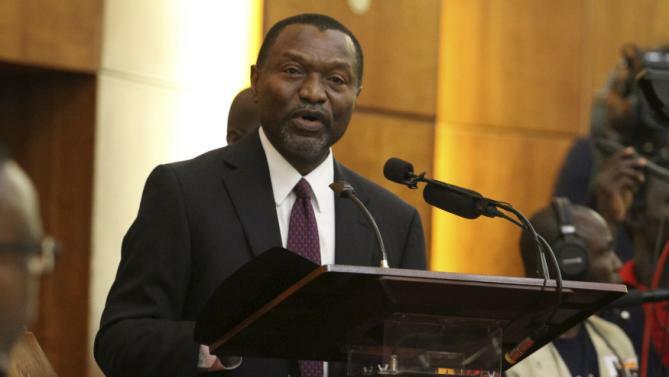 The Minister of Budget and National Planning, Senator Udo Udoma, has urged Nigerians to brace up for tough times ahead because of the negative economic and social issues happening across the globe. Speaking at an interactive session with the Senate Committee on Finance and Appropriation, Senator Udoma said that the federal government would cut all frivolous expenditure in the 2016 budget and overheads will be reduced by 7%. The Central Bank Governor, the Group Managing Director at the Nigeria National Petroleum Commission (NNPC) as well as the Ministers of Finance, were also at the forum to discuss the 2016 Medium Term Expenditure Framework (MTEF) with members of the senate committee. The Minister of National Planning explained how the federal government arrived at the indices in the MTEF while the NNPC boss, who is also Minister of State for Petroleum, Dr. Ibe Kachikwu, gave a breakdown of the oil and gas sector, including how much has been spent on petroleum subsidy in 2015. In the Medium Term Expenditure Framework, the 6.077 trillion naira budget with a revenue target of 3.82 trillion naira, projects a deficit of 2.22 trillion naira and projects that recurrent expenditure would drop from 84% in the 2015 budget to 70% in 2016. The Minister of Finance, Kemi Adeosun, explained how the federal government plans to cut recurrent expenditure. In the proposed framework, capital expenditure of 16% in the 2015 budget was raised to 30% in 2016 but with dwindling oil prices, economic analysts have expressed concern about how government intends to fund the 2016 budget. The Chairman of the Federal Inland Revenue, Mr Babatunde Fowler, said that one of the strategies which the federal government intends to use is by blocking loopholes and opening up the tax base.